Positive parenting, sometimes called positive discipline, gentle guidance, or loving guidance, is simply guidance that keeps kids on the right path. The goals of positive parenting are to raise children who want to behave appropriately, and to raise children who turn into well-adjusted, productive adults. Listed are 10 keys to positive parenting that are easy to follow and incorporate into your family life. with solutions to the problem before jumping in to help them. Say “no” sometimes – It is important for children to learn they can’t always get everything they want, and to be able to wait and/or earn desired items. Create a daily routine – Children respond very well to structure and routine. Daily routines can make things like getting ready in the morning, dinner, and bedtime a smoother process for everyone. Be a good role-model – If your kids see you responding by yelling or raising your voice everything something goes wrong, they are most likely going to start responding the same way. Kids often model the behaviors of their parents, so remaining calm in times of crisis will help your children learn do the same. Avoid spanking or other physical discipline – This can lead to your child being fearful of you and/or teach them that being physical with other is an appropriate response. There are many alternative consequences for negative behaviors other than physical discipline. If your current consequence is not decreasing the behavior, then keep trying different ones until you find a consequence that works. Be consistent with consequences – If you punish a negative behavior one time, but not the next time, that negative behavior is going never go away. Being inconsistent can cause confusion in your child and they will not know what is expected of them. Also, make sure all family members are on the same page and addressing all behaviors in the same way. 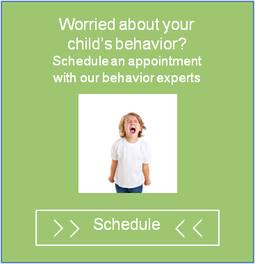 Provide natural consequences – This will help your child learn that their behavior can have both positive and negative consequences. If they break a toy, don’t run out and buy them another one. Doing this will teach your child there are no consequences for their behavior. Conversely if they get all A’s on their report card you want to provide some type of reward and praise. Reward and praise behaviors that you want to see again in the future – For example, if your child cleaned their room the first time you ask, reward that behavior instead of letting it go unnoticed. Rewarding and praising appropriate behaviors will increase the likelihood of these behaviors occurring again. Follow through – If you ask you child to do something, make sure they do it. If you ask and then never follow through, your child will learn they don’t need to listen to you. Even when your cries or gets upset, it is very important to remain firm and ensure they follow through with what you asked them to do. Give your child freedom to make their own mistakes and learn from them – It is natural to want to protect your child and prevent them from making mistakes, however it is important for children to learn from their mistakes and take steps to prevent those same mistakes from occurring in the future.